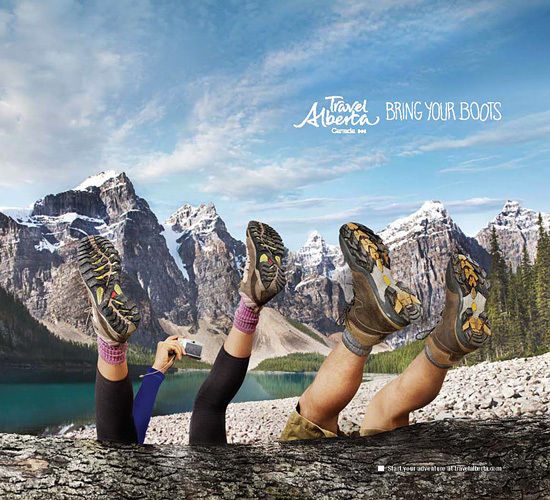 Travel Alberta just launched a campaign “Bring your boots to Alberta”! Doesn’t it look familiar to you? For the record, the image we’re using for our 2010 cover has been submitted by Barry and Adèle Philippson, from Ottawa, on December 6, 2009!! This image was awarded an honourable mention in our 2009 Photo Contest (see our January 13, 2010 post). How “visionary” were we when we picked up this photo for our next cover? 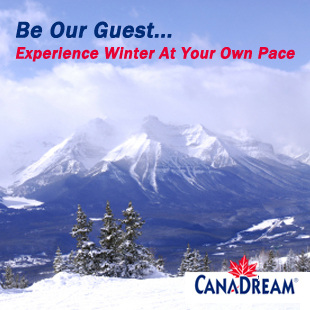 Furthermore, what do you think of the “experience” we brought you and you’ve known now for years? 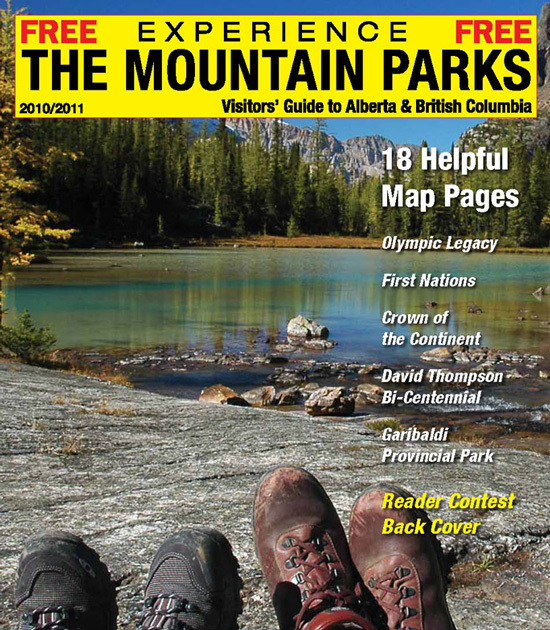 By the way our 2010 edition of Experience The Mountain Parks will hit the newsstands on May the 20th. 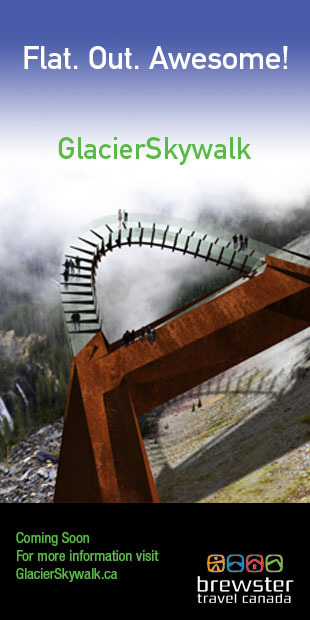 Watch for our insert in the Globe and Mail!